Scales have been around for quite some time, robbing us all of our self-confidence. We can squeeze into pants that are a little too small or wear looser clothing to hide some of the extra pear in our pear shape, but the scale never lies – even if we purposely recalibrate it. The best Wi-Fi smart scale reviews will help you get more than just a number you don’t want to see when you step onto it. The best scales in this category will give you tools and information that will help you take charge of your health and fitness. Wi-Fi smart scales offer a number of features that can be helpful to managing your personal weight. We’ve found the top-rated scales in this category that all have certain strengths that can help you achieve even some of the most difficult wellness goals you may have. What Is a WiFi Smart Scale and Why Would I Need One? You step onto a scale in the morning. It gives you a number. You either smile because it’s an awesome number of your frown and sigh because it’s less than spectacular. Then you go about your day trying to influence that number on your own or through the use of paid third-party programs. Each day becomes a repeat of the day before, although maybe the number changes a little bit in your favor each week if you remain dedicated to you wellness goals. Wi-Fi smart scales take a different approach to your health and fitness needs, but one that is still familiar to us all. Instead of forcing you to do everything on your own, these scales work with apps and other online software solutions so that you can take advantage of a truly individualized plan to achieve your short- and long-term goals. The scales connect to the internet through your local Wi-Fi connection. They can then report the data that they collect when you step onto the scale to your preferred apps so that you have real-time tracking of your fitness. This way you can see habit trends and other lifestyle issues that may spike your data so that you can stay in better control. It’s fast, it’s affordable, and the data helps you get the control you need for many weight goals. Of course the best Wi-Fi smart scale is going to give you your weight number whenever you want it. Just step onto the scale and you’ll know how much you weigh, sometimes to a fractional pound or kilogram. You’ll also be able to use this modern scale to give you a number of additional data points so you can know your exact level of fitness. These features are available on the scales in this category in some combination. Additional weight categories. Many scales are able to track your body mass index, lean mass, and body fat percentage just by stepping onto the scale. Charts and graphs. The information a Wi-Fi smart scale is able to collect can be put into easy-to-read graphics and charts so you can see the exact progress you’re making over time. Multiple accounts. Some smart scales have the ability to track data points for up to 8 different people in your home. Fitness band compatibility. If you own a Fitbit or some other fitness tracker, then you may be able to sync your daily data with the information your scale collects. This wireless process can be setup to run automatically on your home’s Internet connection. So why choose the best Wi-Fi smart scale for your health and wellness needs? Because when you can see your trends, you’re able to take control. Everyone has daily changes in weight that happen. Some folks can gain up to 5 pounds in a single day and then lose it by the next morning. By syncing your data to the dashboard of an app, a fitness tracker, or some other software package, you’ll be able to take the next steps forward on your journey toward better health. Being able to experience success is the key to unlocking your fitness potential. Many of the smart scales in this category work with programs that will reward you with badges and other notifications that let you track and share your fitness goals. This allows you to make sure your experiences are seamless between your fitness and your technology. 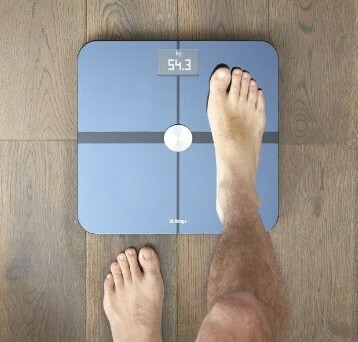 Some Wi-Fi scales can even help you track your sleeping habits! To find the best Wi-Fi smart scale that meets your needs, you need to have access to real public reviews and content from industry trials. You need to know how the scale will perform, under what conditions it will operate consistently, and if it has the tools you need to make sure your fitness is still on the journey you want it to be. Compare your needs to the information in these reviews and industry trials and you’ll have a better picture of what each scale is able to do. What Are the Prices of the Best WiFi Smart Scales Today? If you just want a device that can tell you your weight within a pound or two, then the best Wi-Fi scales are not right for you. A basic scale can go for less than $20, but you’ll spend at least twice that for an entry-level smart scale. If you want Bluetooth capabilities in addition to Wi-Fi connections, expect to pay between $50-$85 for a quality scale. Top of the line models are typically priced around $120. You’ll find most top scales in this category are competitive with this price point. If you’re looking for quality weight-based data points, then this is the affordable smart scale for you. It offers your body water percentages, muscle mass, bone mass, and your BMI just by stepping on the scale. It can store the personal data for up to 8 users and automatically recognizes you based on your series of readings. We like the size of the readout on the scale with the blue background, making it really easy to read in most room conditions. It’s sleek, it’s slim, and we loved getting a chance to take a look at this scale. Click here to check pricing on Amazon and find a great deal. This scale is built to work with your lifestyle. It starts with the foundation of the scale itself, with scratch-resistant feet that won’t mark or damage your floor. The data points this smart scale is able to collect can be transferred to a number of today’s best fitness apps and the accuracy of the data is on point with a 0.1 pound variance. You have fewer syncing options since this scale only works with a smartphone, but it looks great, operates consistently, and is offered at a fair price. It earns our recommendation today. If you don’t feel like investing in a Fitbit smart scale, then this might be the best Wi-Fi smart scale on the market for you today. It offers you all of the data collection points you’d expect from a top-of-the-line scale, including body age, BMI, and hydration levels. The display is circular and fairly easy to read with the backlighting. It stores information for up to 16 people and will calculate personal weight goals every week for you. At 350 pounds max capacity, it’s a little lower than other models, but with its overall compatibility and Bluetooth features, it is definitely worth giving this scale a second look. This Wi-Fi smart scale is easily one of the best scales we’ve ever taken a look at right now. It offers automatic user recognition for up to 8 people, but what we really like is the privacy aspect of this scale. The data recorded is sent to a private website which is secured by your password. You can also use your iPhone to monitor BMI and weight if you wish. Four different sensors give you an accurate weight measurement and there are several apps that can also work with the data you’ve collected. It’s an investment, but one we feel is definitely worth making. It might be one of the most affordable smart scales in this category, but don’t let the entry-level price fool you. The design offers beautiful visuals, the data collected is accurate and in the categories you want, and the LCD display is surprisingly easy to read. The one potential negative that we can see with this scale is that instead of 4 AAA batteries that you can replace, it comes with 2 CR2032 batteries that are a little less convenient. If you’re on a tight budget and want to get lean and mean from a health perspective, however, the price is right with this scale. The best Wi-Fi smart scale reviews will help you find the data points you need to take control of your health and fitness. Don’t let life be in charge of you. You can create the healthy home environment you want and one of these top scales can be the tool that helps you take the first steps on that journey today.